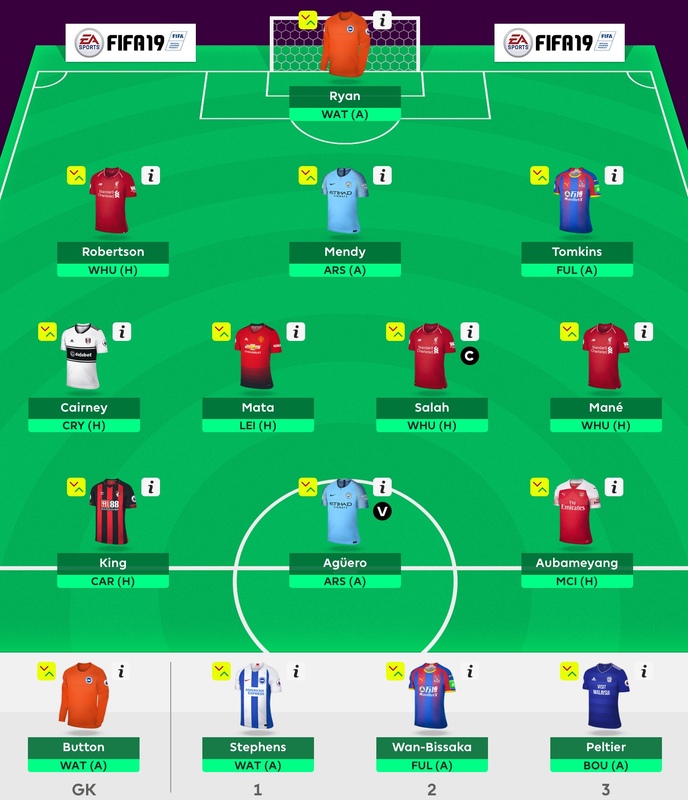 Our Fantasy Premier League 2018/19 second draft is now available. Liverpool midfielders have been popular, with Sadio Mane lining up alongside Mo Salah. 1st place – £100, 2nd place – £50, 3rd place – £25, Christmas Number 1 – £50. The 4 winners will also receive a framed My Greatest 11 print, from their website. 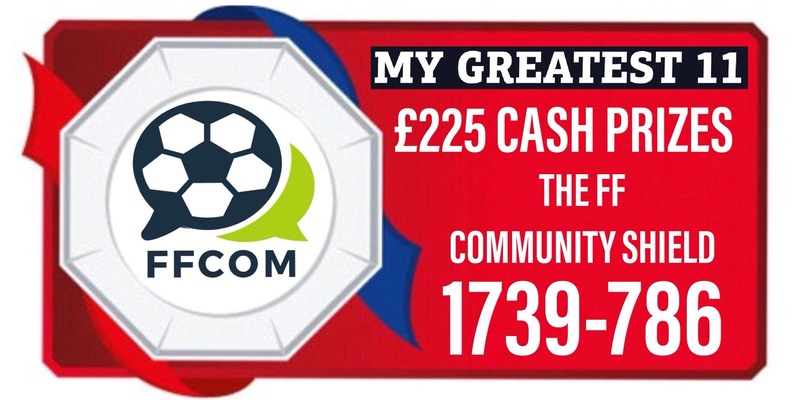 To be a part of The FF Community Shield, manually enter our league code 1739-786, or click the graphic below. 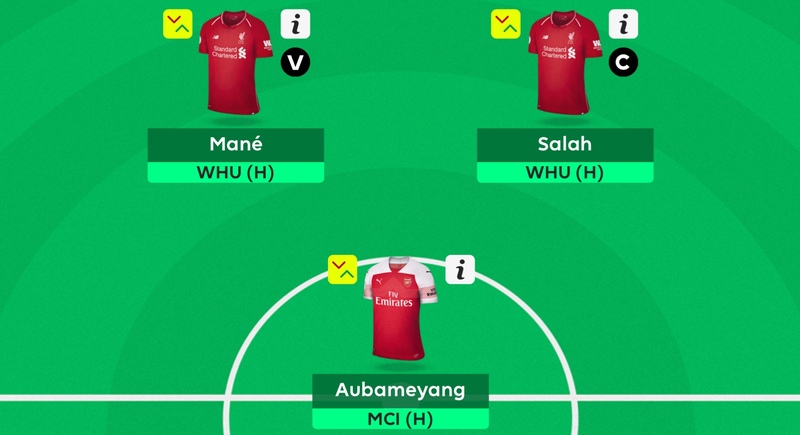 We’ve made the decision to build our team with the intention to wildcard after Gameweek 4, during the first international break. A number of late arrivals following the World Cup was a key contributor to this decision. We toyed with a number of formations, including 3-4-3, 3-5-2 and 4-4-2. Ultimately, a lack of depth in the forward slot, particularly among budget players, means we’ve gone for 3-5-2. The overall spine for the team has now been settled on. It’s very heavy on Liverpool, with a triple up, given their opening run of fixtures: Whu (H), Cry (A), Bri (H), Lei (A). Mo Salah was an essential for us, likely to carry the captains armband for much of this opening period. Liverpool should be quick out of the blocks this season, given their fixtures and no significant late arrivals. Sadio Mane has also been squeezed into the midfield: he was favoured over Firmino due to greater points available for goals. He’s taken a couple of penalties in pre season, which could also bolster his fantasy chances. Given the strengthening in defence with new signing Allison, Andy Robertson has been brought in to capitalise on clean sheet points. He’s got decent attacking numbers and finished last season well. Joining him, Caesar Azplicueta is our other premium defender. We are hopeful of a rejuvenated defence under Sarri. Azpilicueta is a versatile player, with proven Premier League performances, plus potential for bonus points too. We haven’t been too inspired by the premium forwards, with many unavailable for Gameweek 1. Arsenal have two tough opening games, against Manchester City and Chelsea, before the schedule eases. However, Pierre-Emerick Aubameyang made a fantastic start to the Premier League last season, with 10 goals and 4 assists in 13 games. He’s a classy player and I expect goals despite the tough opposition. He’s on penalties too. Ordinarily, we favour having “cover” from all of the top six sides for Gameweek 1. However, many of these sides are heavily affected by players arriving late to pre season from the World Cup. Here’s our selections beyond Liverpool. Arsenal – we discounted the defence given the difficulty of their opening two fixtures, settling just for Aubameyang. Chelsea – with Giroud and Hazard likely to miss Gameweek 1, and Willian rumoured to be on the move, we’ve decided to take an attacking punt on Pedro. He’s kindly priced at 6.5 million and has been scoring in pre season. Manchester City – we’ve avoided the defence, given injury concerns and lack of involvement in pre season. We looked at Silva, Sane and Aguero in attack: Pep will rotate, but we went with Silva as the cheaper option, with De Bruyne absent. Manchester United – again there’s major fitness concerns in defence so we’ve not invested there. We looked at Martial and Sanchez, but comments from Mourinho deterred us. Juan Mata comes in as an outside punt for 6.5 million. Spurs – away fixtures and key absences means that we’ve gone for no cover. We were considering a punt on an attacking player, but Lamela and Sissoko have picked up injuries and Llorente seems to be out of favour. Our Gameweek 1 Squad has seen a number of changes following the Community Shield. A disappointing result for Chelsea meant that we have ditched Pedro and Azpilicueta. It was a strong Manchester City performance, meaning we’ve prioritised one of their defenders, with Mendy coming in. The absence of D. Silva, meant we’ve switched to a 3-4-3 with Aguero. There’s a few changes to the fringe of our squad from the other day. Button appears to be the Brighton back up keeper, so replaces Steele on the bench. To fund Aguero, Pedro was downgraded to Fulham’s Cairney, who’s the club captain and set piece taker. Stephens is our 4.5 million midfielder for now. 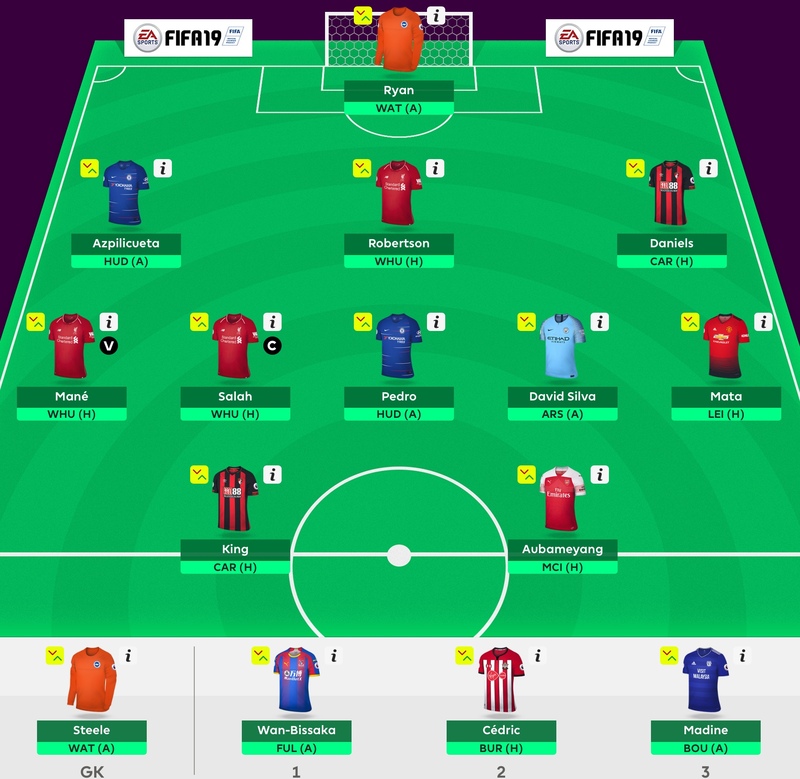 With Cedric yet to join pre season for Southampton, and Daniels likely to lose his spot by Gameweek 4, James Tomkins provides a Place double up in defence. Peltier joins as our second 4.0 million defender, in a high risk strategy. Our budget goalkeeper combination and Daniels remain from our first draft. Cedric joins the defence, with favourable fixtures and a decent price. Aaron Wan-Bissaka has emerged as a potential 4.0 million defender. In attack, Josh King is selected for his strong fixtures against Cardiff, West Ham and Everton. He looks set for starts and is always a strong source of goals, with penalties too. Gary Madine is nothing more than a bench filler at 4.5 million: we aren’t expecting anything from him. It is a risky strategy to have a non-playing bench player. We are overall happy with the look of the team, but may make more changes in the next 10 days. The Community Shield should give a clearer picture regarding Manchester City and Chelsea options. More news should filter through about the likelihood of starts in Gameweek 1 for those who went the distance in the World Cup. The transfer window closes the day before the Fantasy Premier League deadline, which could cause issues.